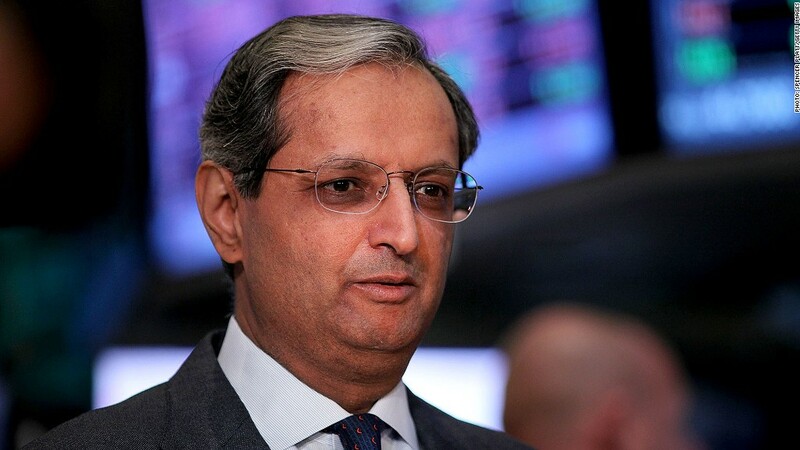 55% of Citigroup's shareholders voted against Vikram Pandit's $14.9 million pay package. Investors made their voices heard when they voted down the pay packages of 51 companies this spring, including that of Citigroup CEO Vikram Pandit. But since then, many of the companies targeted by activist shareholders have been eerily silent. This shows that new powers given to investors thanks to the Dodd-Frank Wall Street reform law only go so far. Shareholders now have the right to have a "say on pay" -- the ability to vote yes or no to an executive compensation package at a company's annual meeting. But a company's board isn't obligated to do anything further than take note of investor dissatisfaction. Most companies, including Citigroup (C), say they are talking to shareholders. They say their boards are reconsidering pay packages and will get back to shareholders when the time is right. Pandit said he expects to tell shareholders more about what Citi decides to do regarding his compensation by year's end, nearly seven months after 55% of the bank's shareholders voted down his $14.9 million pay package. So much for the so-called "Shareholder Spring" or "Occupy Boardroom" revolution in Corporate America. "You would've thought that Citigroup would have made more public comments and would be displaying a greater sense of urgency to be responsive to shareholders," said Mike Mayo, a bank analyst with CSLA and author of the book "Exile on Wall Street." Citigroup has engaged compensation consulting firm Frederick W. Cook, and a Citigroup spokesperson said members of its board's compensation committee have begun meeting with representative shareholders. That isn't enough to silence some critics. "The bank should have heard us loud and clear when the NYC Pension Funds and the majority of shareowners voted against its compensation precisely because pay was bloated compared to the bank's performance," said New York City comptroller John C. Liu in an emailed statement. New York City's pension funds own nearly 9 million shares of the bank. Citigroup isn't the only company that has been slow to respond to shareholders that voted against pay packages though. Other well-known companies that had their compensation struck down by shareholders have remained quiet too, including retailers American Eagle (AEO) and Abercrombie & Fitch (ANF), mall owner Simon Property Group (SPG), and, in what now looks like an ominous sign, Knight Capital Group (KCG), the broker-dealer that was hit by a massive trading glitch earlier this month. None of these companies would comment further on their response. But Blair Jones, a managing principal at the compensation consulting firm Semler Brossy, said more is going on behind the scenes. Corporate boards and consultants can't start talking to shareholders until after proxy season is over in late May, said Jones, who is currently advising several companies on "say on pay" responses. "The advice [companies are] getting is not to have a knee-jerk reaction to these votes," said Jones. "You need to spend a significant amount of time talking to shareholders. 'Say on pay' was designed to get a better dialogue between shareholders and companies." Jones said firms typically spend between June and September talking to numerous shareholders and only then do they start coming up with plans about how they might restructure compensation. After corporate boards have those conversations, they can then return to shareholders to test various alternative plans. "If you're going to make changes, you want to make sure they're responding to what shareholders want," Jones said. "You don't want a repeat performance." Carol Drake, the external affairs officer at Ohio's $74 billion pension fund, said many companies are talking a good game but are not acting with a sense of urgency. Drake said she's currently in active discussions with one company who lost its "say on pay "vote. She declined to name the company, because the conversations are ongoing. "Some companies have expressed a desire to have more outreach with shareowners but have continued to award their CEOs compensation packages that seem to run contrary to the 'say on pay' vote by their own shareowners," she said. Executive pay clawbacks: Just a shareholder pacifier? Still, there is some hope for aggrieved investors. 26 of the 30 companies that had pay packages shot down in 2010, including Stanley Black & Decker (SWJ) and Janus Capital (JNS), were able to get revised compensation plans passed this year. And all of those companies made some changes to their compensation structure, mostly by more properly aligning yearly pay and bonuses to stock and other performance metrics. Drake said she is specifically looking for more disclosure on what targets are used for determining compensation and an accounting of all ways executives are being compensated. New York City's pensions think they can work out a deal with Citigroup. "We're hopeful that Citigroup will undertake a significant reform of its pay," added Matthew Sweeney, a spokesman for Comptroller Liu. But several consultants said that boards are unlikely to make massive cuts to any executive's pay. That may irk Citi shareholders. Mayo takes it a step further. He thinks that some investors are actively avoiding Citi and other companies that are perceived to be doling out excessively large bonuses and salaries. So even though the loud cries of investors during Shareholder Spring may have quieted down a bit, companies may still want to look more closely at their compensation practices if they want to keep attracting new buyers of their stock. "The universe of potential investors is put off by egregious corporate governance." Mayo said.